How's that Christmas gift list going, you guys? Are all those names ticked off? Are you checking it twice? ;) With less than a week to spare, there's nothing quite like last minute panic to set you in high gear shopping mode. But you can skip those crowded shops and malls because we have a new installment of 12 Minute DIYs today and it's a two-for! 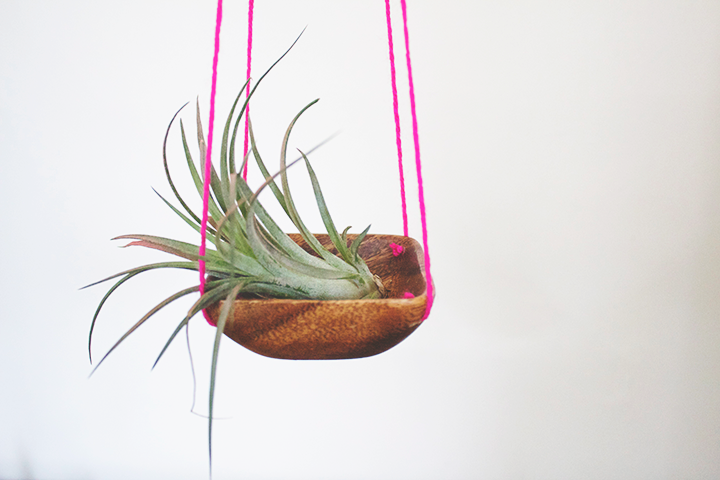 These air plant-centric gifts are a cinch to throw together and will make those green thumbers in your life oh-so-happy! Measure and mark four spots on your bowl, making sure each spot is symmetrical. Drill a hole in each spot. Thread the yarn through each hole (use an embroidery needle if you're struggling to get the yarn through) and double or triple knot to secure. Gather together the four pieces of yarn and knot at the top. 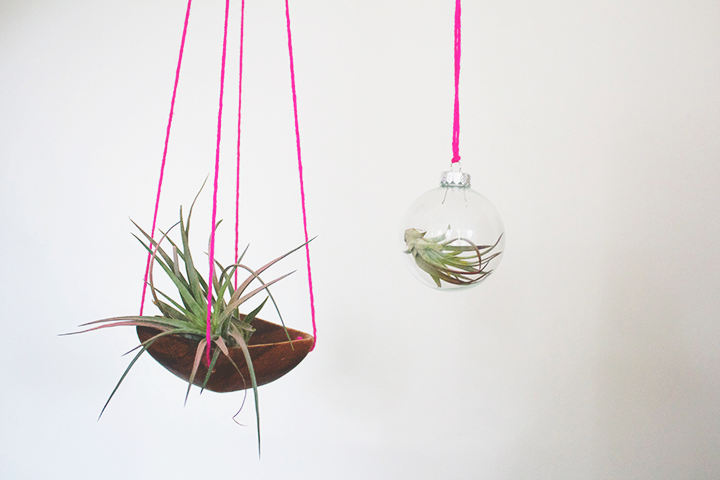 Add an air plant and hang! 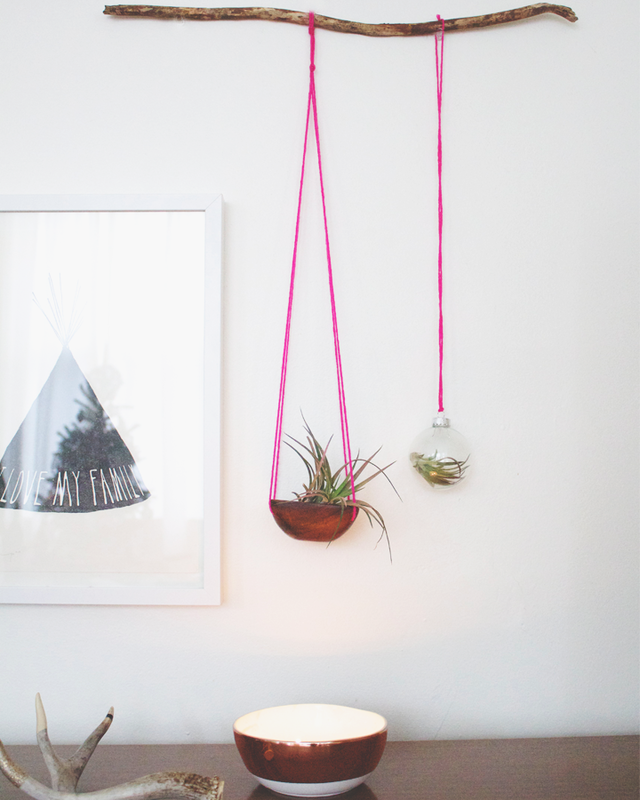 It's not even fair to call this a DIY because it's so self explanatory. 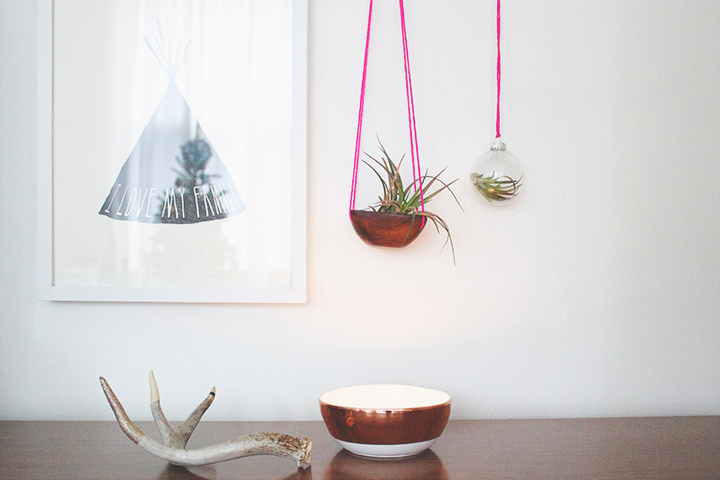 The only tricky part can be finding an air plant small enough to fit through the opening of the ornament. 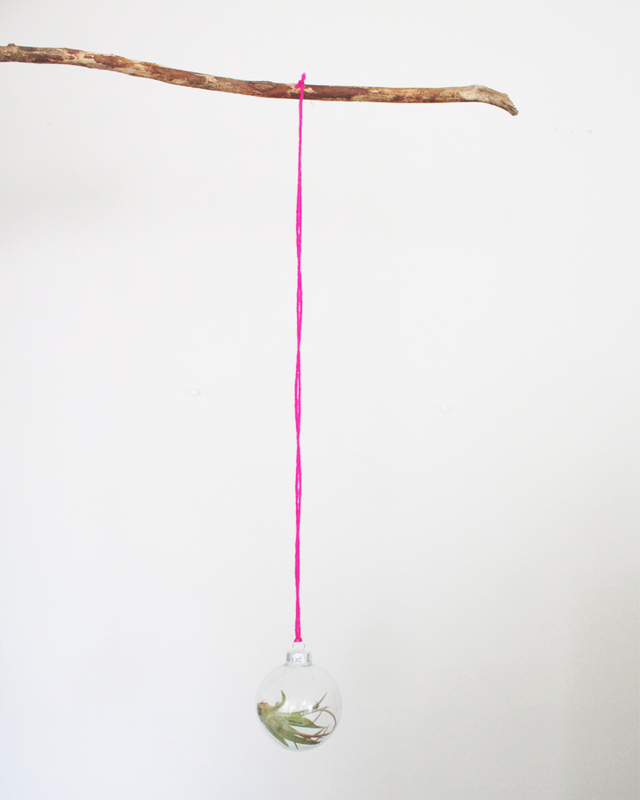 Once a week, fill the ornament with water to soak the plant, drain, and turn upside down to dry out. We think this ornament is darling enough to leave out year round! i LOVE the bamboo one! and have been looking to buy something like this! perfect! !